Kia Autosport of Tallahassee - Kia Autosport of Tallahassee offers new and used cars, trucks, and SUVs for sale. Come see our Kia dealership serving Crawfordville, FL and Thomasville, GA.
Kia Autosport of Tallahassee offers new and used cars, trucks, and SUVs for sale. 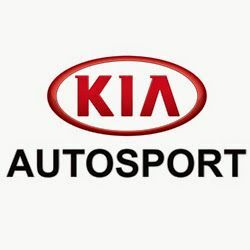 Come see our Kia dealership serving Crawfordville, FL and Thomasville, GA.
Kia AutoSport is a Florida Kia Dealership and a Georgia Kia Dealership serving the Tallahassee, Florida, Pensacola, Florida, Columbus, Georgia areas. Kia AutoSport caters to the needs of each individual customer. We know that you have high expectations, and as your car dealership we enjoy the challenge of meeting and exceeding those standards each and every time. Allow us to demonstrate our commitment to excellence! Kia of Vero Beach is your One-Stop-Shop for new or used cars, SUVs, or Hybrids, Service, or financing. We proudly serve Ft. Pierce and Sebastian, FL. "Kia of Union City in Union City, GA, also serving Fairburn, GA and College Park, GA has an experienced and reliable service and parts departments. "